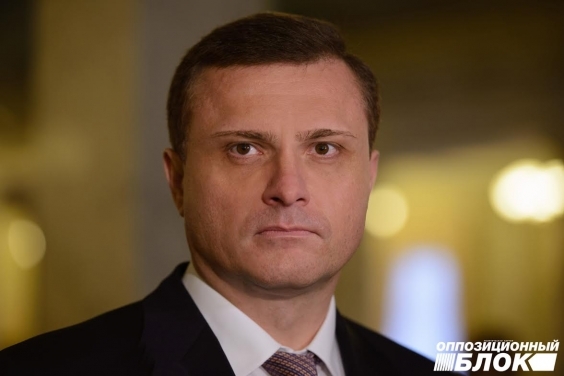 The Opposition Bloc welcomes the resumption of negotiations in the “Normandy Format” and calls for intensifying the process of implementing the Minsk agreements. This was stated by the deputy chairman of the Opposition Bloc faction Serhiy Lovochkin, commenting on the results of the meeting of “Normandy Four” ministers in Berlin. “The Opposition Bloc welcomes the resumption of negotiations in the “Normandy format” after one and a half year’s break. This is a positive fact. The participation of guarantor countries in the solution of the Ukrainian issue shows that, contrary to the skeptics’ views, the issue of a peaceful settlement in the Donbass remains in the focus of attention of world diplomacy. At the same time, Western partners unequivocally gave it clear that the “Minsk” process was alive and the Minsk agreements must be implemented,” Serhiy Lovochkin stated. The politician expressed regret that the negotiations had failed to resolve the main issue – the introduction of peacekeepers to the east of Ukraine, as well as the launch of the practical implementation of the Minsk agreements. “Unfortunately, this was predictable. Individual politicians from the “party of war” in the Ukrainian authorities constantly want to show that the “Minsk” process is dead. At any convenient opportunity, they try to convince the public that Ukraine should not implement the Minsk agreements. Draft laws and “plans” that roughly contradict the essence of the agreements, despite the fact that this document was fixed by the UN Security Council Resolution No. 2202 as early as February 17, 2015 and then regularly finds support in the statement of the Security Council for Ukraine are regularly proposed. Obviously, with such logic, it is impossible to achieve any real results at the negotiations in the Normandy or any other formats,” Serhiy Lovochkin explained. “The Opposition Bloc consistently suggests another way to a peaceful settlement. We believe that today it is necessary to start direct negotiations with all parties to the conflict. This is the only way to bring together positions on peacekeepers, and on the points of the political agenda of a peaceful settlement. If the authorities are afraid for their ratings and do not make a political decision about such negotiations, we are ready to take responsibility and participate in negotiations in this format,” he stated. In addition, the MP believes that it is possible to make a more productive discussion in the “Normandy format”. To do this, it is necessary to involve representatives of legislative assemblies in the work of expert groups under the “Normandy Four”. According to him, the Opposition Bloc is ready to participate in such work. “It is obvious that representatives of the “party of war” are very pragmatic about the conflict. The east has become not only a source of corruption and smuggling for them, but also the main opportunity to mobilize their electorate before the elections. But the price of such a strategy is too high for the country. We need direct talks to stop the war before the elections,” Serhiy Lovochkin concluded.